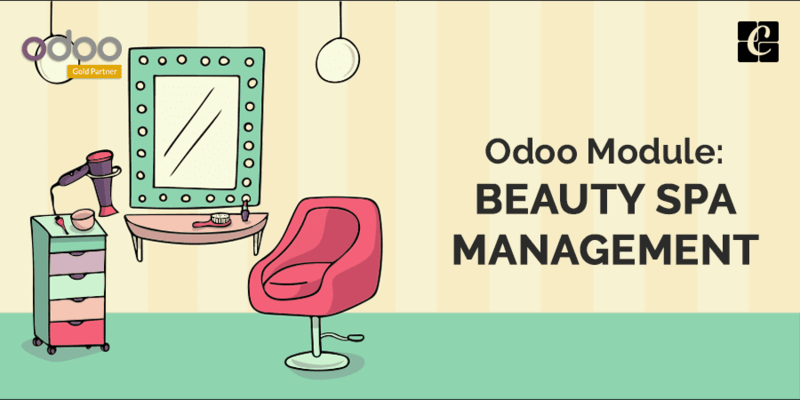 In India, most of the spa management is done in manual methods, as it is the 21st century and every business is getting digitalized its time to change, for this purpose we introduce you to a new software system of spa management ie Beauty spa management software. This Beauty Spa management software system developed by Cybrosys Techno Solutions helps your customers to do the online booking for using the service. This module integrates with other Odoo modules like accounting and website. Another advantage of having this beauty Spa management system is your customers who have done the online booking in your spa will get the booking information via email. By using an app like this, you can enhance your business. 'Salon Menu' will direct you to the 'Dashboard' of the Salon. Dashboard view is shown in the above image. Your customers can book the service in two ways, direct booking, and online booking. The pink color chairs are the only ones available for online booking and blue chairs for direct booking. In Dashboard, you get the daily collection of that chair and also the customer will be able to know when will be the chair free, in case if that chair is currently in use. Also, you can see the active orders of that chair and if you click on it, that will directly take you to the active orders of that chair. If you want to change the settings of a chair, you can just click the settings button in the dashboard. Here you can create and edit details of each chair. You can assign a user to the chair by adding a new user to the users' tab in the form view of a chair (Check the image shown below). The last added user will be turned to the current user of the chair. Using this tab, you can track which user is active on the Chair on a particular date or time. List of services provided by the Spa. You can create and edit services here. Here you have all the orders in the Spa. Form view of the salon order is shown in the image. You will get the corresponding invoice details of the order by clicking the Invoice button on the upper right side of the form view. Here you can see all the online bookings. You can either approve a booking or reject a booking. In both cases, the notification is sent to the customer mail address. The approved bookings will be changed to salon orders. Here you can see all the salon orders on the corresponding date. After checking the time available, you can decide to approve/reject the booking accordingly. can be booked by a customer through online. - Here the customer can fill the details. and send the form. - Here the customer can check the availability of the chair by date.